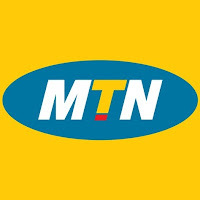 The MTN Nigeria Foundation will provide financial support to eligible Science & Technology students in accredited educational public universities, polytechnics and colleges of education across the six geo-political zones in Nigeria which will cover tuition, book allowance and stipend (pocket allowance). The scholarship award is worth N200, 000.00 (Two hundred thousand Naira only) per student for the duration of an academic year and is paid at the beginning of each academic session.
. Candidates must be full time undergraduates in 200 level/2nd year in public universities, colleges of education as well as polytechnics in Nigeria.
. Applicants from universities and colleges of education must have a minimum Cumulative Grade Point Average (CGPA) score of 3.5 or its equivalent (2:1), while applicants from polytechnics must have a minimum Grade Point Average (GPA) of 3.0 (upper credit) and currently undergoing industrial training at the time of applying. Check the link below for more Eligibility Information and to APPLY ONLINE. Closing date for receipt of applications is Friday, October 13th 2010.